We here at Eats For All Ages love vegetables. A lot. Especially fresh from the field veggies at the peak of the season. But, let’s face it, sometimes that’s just not feasible. And, there really needs to be a middle ground between delicious fresh produce and soggy, bland veggies from the freezer. So, I decided to do some experimenting and prepared some frozen vegetables in the same manner I would normally prepare their fresh counterparts. The results were not quite as good as they would have been with truly fresh vegetables, but they were a vast improvement over “microwave on high for 4 minutes, let stand 1 minute and serve,” and they were done in less time and for less money. Fresh vegetables will always be my preference, but these two simple recipes make a nice quick side and pack a lot of flavor. Preheat your oven to 400 (or whatever temperature you will be using for the rest of your meal). 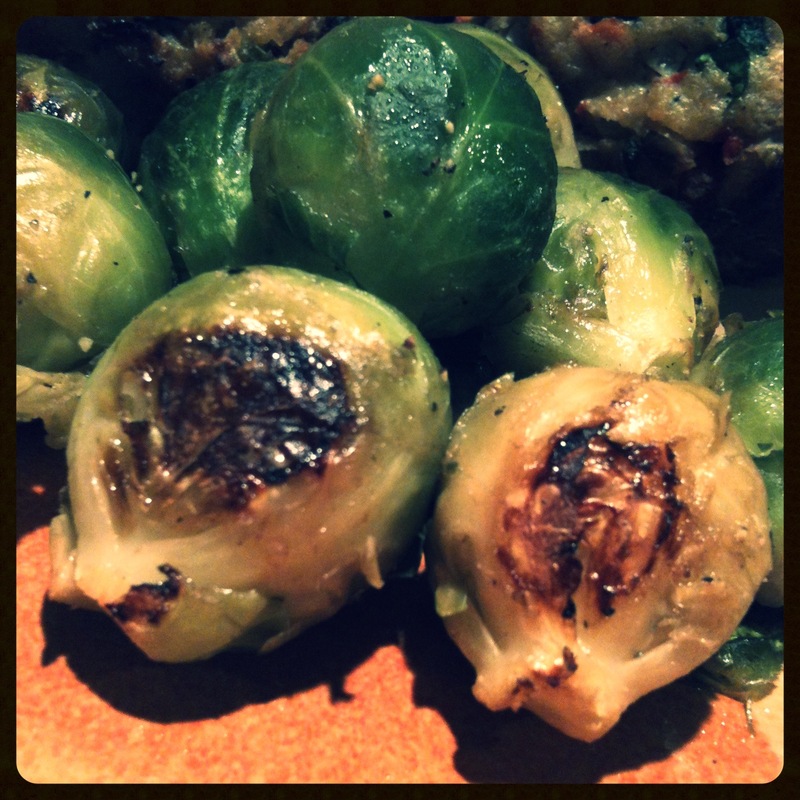 While the oven is preheating, microwave the sprouts for about half the recommended time. The goal here is to get them at least partially thawed without actually cooking them. (Note: You could thaw them completely without microwaving them, but we’re using frozen veggies for convenience here, so I chose the microwave to hasten the process and save time.) Drain the sprouts thoroughly. You want to get as much of the water out as possible (which is why you don’t want to put them straight into the oven frozen), so you can even gently squeeze them a bit if necessary. Just as we did when we roasted fresh brussels sprouts, place the sprouts in a freezer bag, add a little salt, pepper and olive oil and shake in the bag to coat the sprouts. 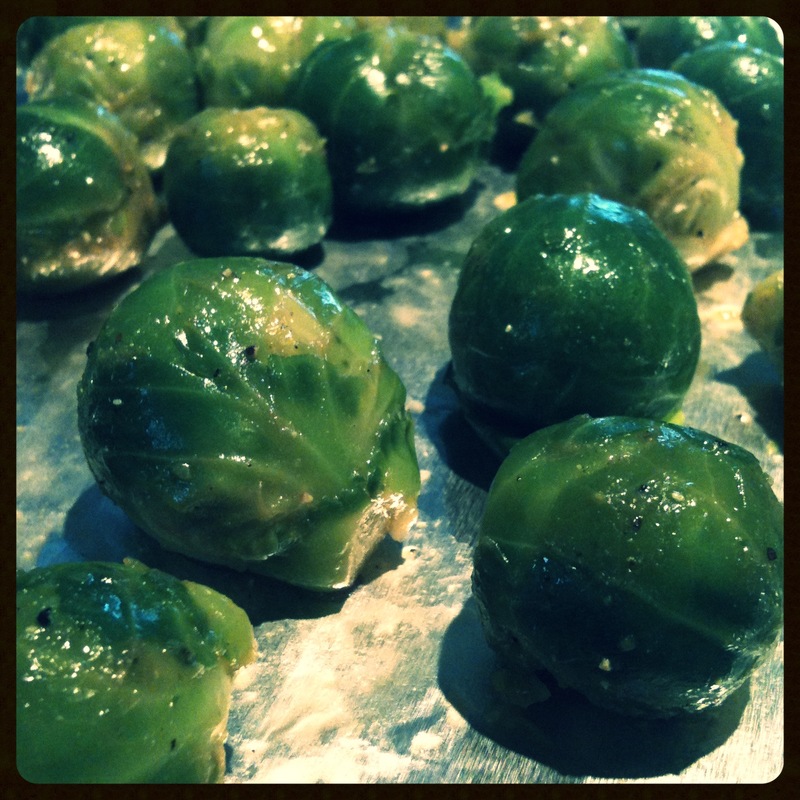 Then spread the sprouts in a single layer on a foil-lined baking sheet. Roast in the oven for at least 15 minutes. 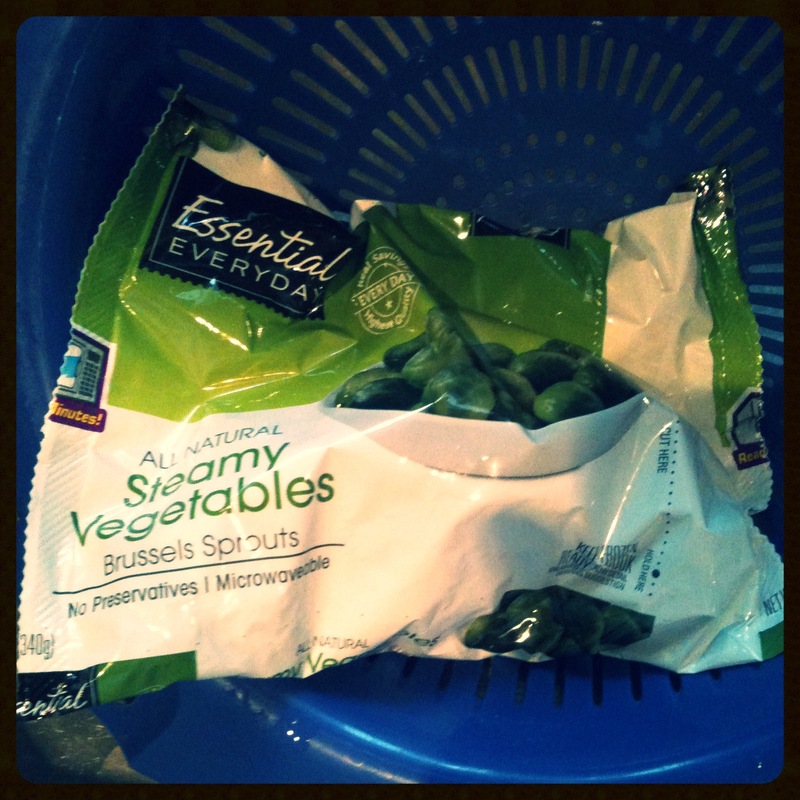 Since they were already at least partially cooked in the microwave, they won’t take as long, but the added moisture in the frozen veggies will be more forgiving if you roast them a little longer. I roasted mine for about 20 minutes, and, while some of the steamed sprout flavor remained, the roasted flavor really shined through. 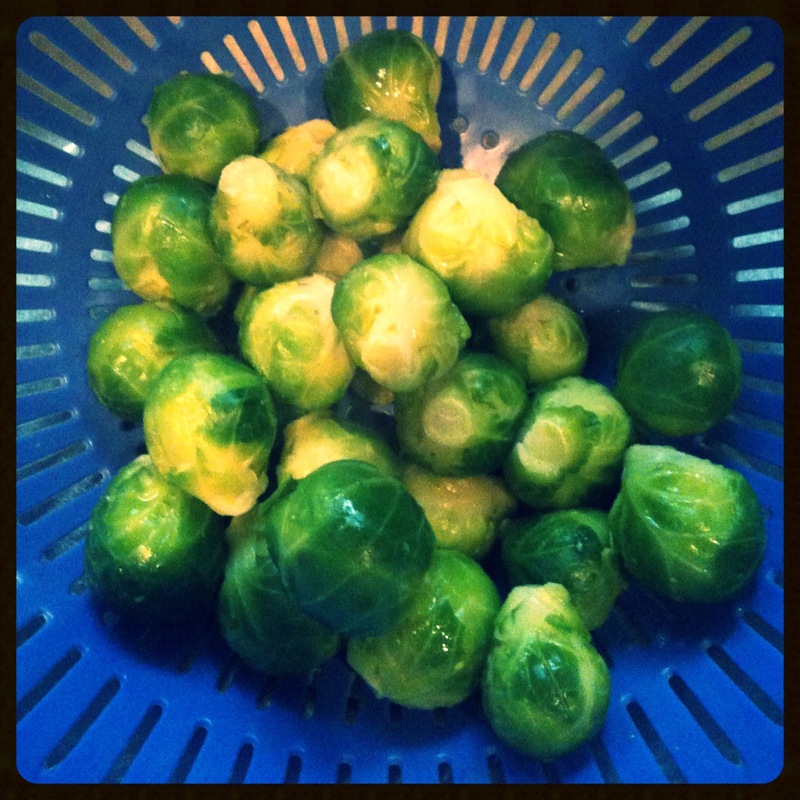 So, that’s my soon-to-be-famous Unsteamed Brussels Sprouts. 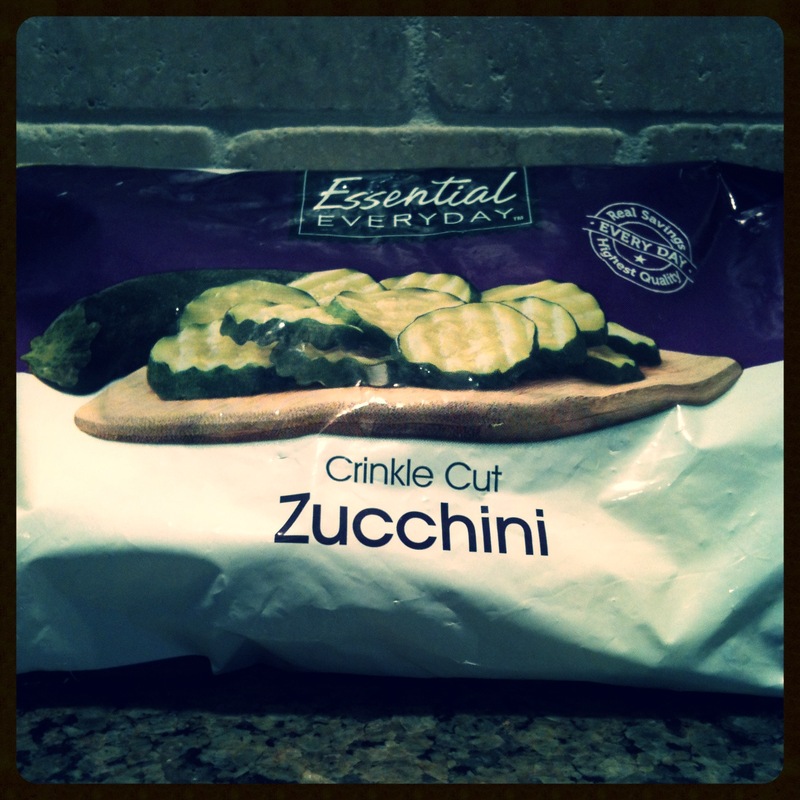 Another great time saver in the frozen veggie case is zucchini. Fresh zucchini is one of our favorites, but they’re delicate, shelf life isn’t always great, and preparation can be occasionally tedious. The frozen variety typically has a nice crinkle cut to the slice, the pieces are fairly uniform, and they thaw very quickly. 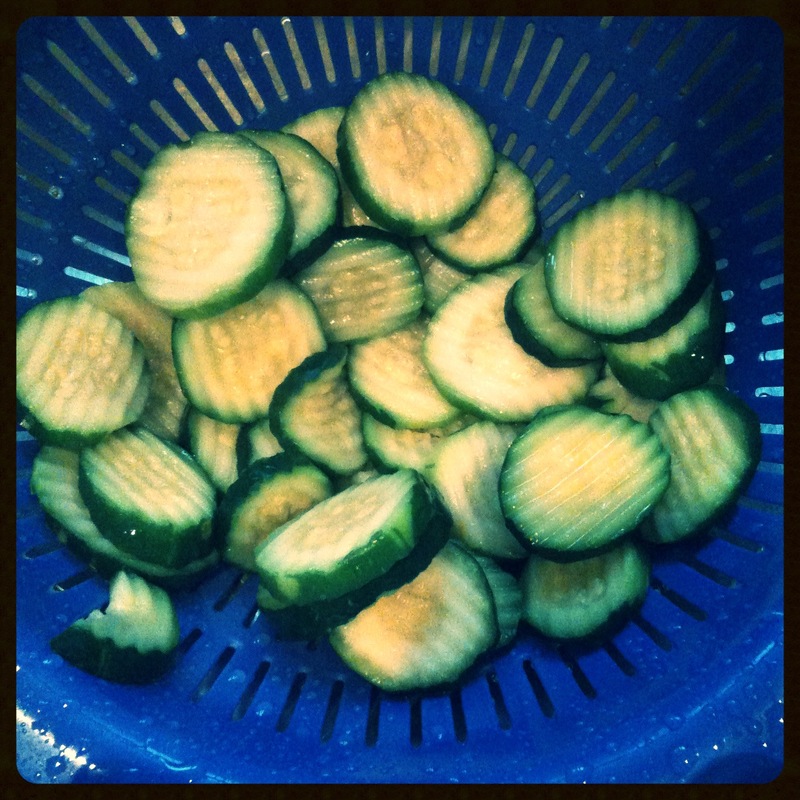 Thaw the zucchini in a colander so the water drains away. The zucchini thaws pretty quickly, but you can also run a little warm water over it to speed the process if you’re in a hurry. Using a paper towel, gently press the thawed zucchini in the colander to remove as much excess water as possible. While the zucchini is thawing, quickly slice an onion into strips. This is optional, but when I’m sauteing veggies, I almost always have a little onion or garlic in the pan as well. 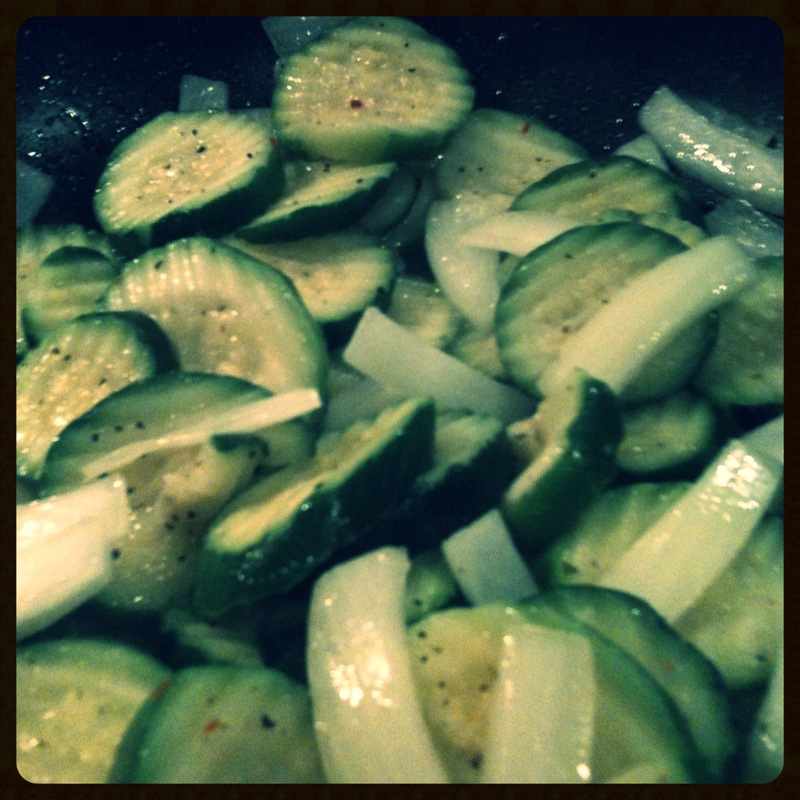 Once the veggies are ready, heat a little olive oil in a saute pan and add the zucchini and onion. Season with salt and pepper to taste. Because of the added water with the frozen zucchini, you will want to saute over a fairly high heat to help get a little browning on the zucchini. Browning the zucchini will add a little texture back to a product that can get a little mushy after being frozen. It will also significantly boost the flavor, which can also be diminished in the freezing process. 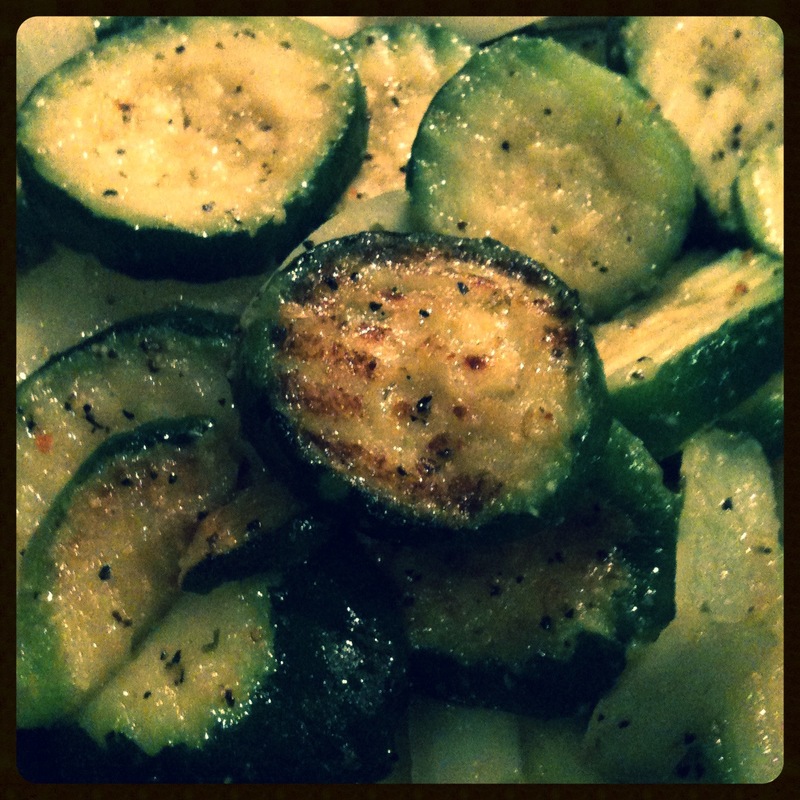 Again, not quite as delicious as it would be with fresh zucchini, but much faster and still quite delicious. I hope these two ideas get you started on being able to use some frozen products to help save time when your favorite veggies are too labor intensive or unavailable for a busy weeknight dinner. Enjoy!